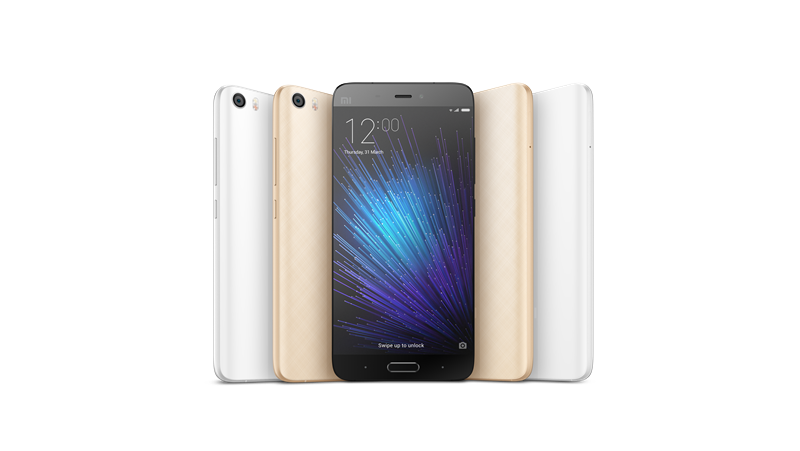 Xiaomi launches its new flagship Mi 5 in India at INR 24,999, which is the first smartphone in India powered by Qualcomm Snapdragon 820. NEW DELHI, INDIA, 31 March 2016 — Leading smartphone company Xiaomi unveiled its latest flagship Mi 5 in India today within a month of its global debut, becoming the first-ever smartphone in India equipped with the powerful Qualcomm® Snapdragon™ 820 processor. Priced at INR 24,999, Mi 5 showcases a sleek and beautiful work of art with a 3D glass body made from Corning® Gorilla® Glass 4. It comes equipped with 3GB RAM and 32GB flash memory, and will be available on Mi.com starting from 11am on 6 April as part of Mi Fan Festival to celebrate Xiaomi's sixth anniversary. Hugo Barra, Vice President, Xiaomi, said: "We are so excited to bring to India the most beautiful device we have unveiled so far, and only within a month of its global launch. Mi 5 is the perfect embodiment of high performance and a beautiful, lightweight design. It has been in the making for 19 months, and has several tech breakthroughs built into it, like the 4-axis OIS camera." Mi 5 boasts of elegant curved edges that transition from glass to metal seamlessly with an almost bezel-less screen. Weighing only 129g and with a thickness of only 7.25mm, Mi 5 is extremely light. Even with a large high-density 3000mAh battery and a front fingerprint sensor, Mi 5 features an extremely slim frame and a high screen-to-body ratio, made possible only by an innovative structural design that was nearly two years in development. One of the key tech breakthroughs on the 16MP camera is 4-axis Optical Image Stabilization (OIS), which is more effective at compensating for handshake in a variety of shooting scenarios, and is particularly effective for video. Mi 5 is one of the first devices in the world to ship with the new Sony IMX298 sensor, which is also Xiaomi's first camera featuring Deep Trench Isolation (DTI), a pixel-to-pixel isolation technology for cleaner color separation. Mi 5 also comes with a 2-micron pixel 4MP front camera for great selfies. "Qualcomm Technologies is very pleased to work with Xiaomi on their latest flagship Mi5 device, featuring the cutting-edge premium tier Qualcomm Snapdragon 820 processor, designed to deliver amazing performance, connectivity and power savings," said Sunil Lalvani, Vice President, Qualcomm, and President of Qualcomm India. "Xiaomi and Qualcomm Technologies have a long-standing, strong relationship and have worked closely together for many years to deliver a shared vision of bringing new and truly compelling user experiences to consumers and we are excited to help bring the Mi 5 to consumers in India." Mi 5 boasts insanely fast performance with an Antutu score of over 113,000, thanks to the latest Snapdragon 820 processor. By moving to the Qualcomm® Kryo™ CPU architecture, the Snapdragon 820 CPU has higher performance than Snapdragon 810, while consuming less power. It also comes with the latest Adreno 530 GPU for the ultimate gaming experience. Mi 5 is also the first Xiaomi smartphone to ship with UFS 2.0 high-speed flash memory, which is designed to greatly surpass the performance of eMMC 5.0 by up to 87%. Mi 5 features a very vibrant display with 600-nit brightness, stemming from an increase to 16 LED lights behind its LCD display. The screen is also 17% more power efficient, which means that it is battery-saving despite being extremely bright. Mi 5 also supports full NFC functionality for both reading and writing, as well as Qualcomm® Quick Charge™ 3.0. The device ships with MIUI based on Android M, and also comes with an infrared port and Mi Remote app for controlling appliances from hundreds of brands.